"With respect to the threat that we face, I think it's everything from jamming from the surface or a cyber attack, to direct-ascent satellite weapons, either from Russia [or] in 2007 the Chinese tested an anti-satellite weapon and spread debris all over orbit," Wilson told a House Appropriations defense subcommittee hearing. The testimony on space warfare threats came a day after President Donald Trump told Marines in California that the military needs a "space corps." "Space is a war-fighting domain, just like the land, air, and sea," Trump said at the Marine Corps Air Station Miramar. "We may even have a Space Force, develop another one, Space Force. We have the Air Force, we'll have the Space Force." The Air Force secretary testified on space warfare dangers along with Air Force Chief of Staff Gen. David Goldfein on the service's fiscal 2019 budget request of $156.3 billion that includes a 33 percent increase in spending on space satellites, rocket launchers, and capabilities to counter space attacks. Wilson said the risk to the GPS networks is one reason the Air Force is speeding up work to replace the 30 orbiting GPS satellites with jam-resistant satellites. "The Air Force operates 30 satellites in orbit just for GPS," she said. "And since 1992, the Air Force has been supplying GPS, paid for by the taxpayers, but to the users, for free." Wilson said GPS is widely used for large numbers of people for services ranging from ordering rides from Uber to using the application Yelp to find restaurants. "Or if you just take out your phone and look at that blue dot, or if you got money from an ATM machine, all of those services are provided by a squadron of less than 40 airmen in Colorado Springs, Colorado," she said, referring to the GPS satellite controllers located at Schriever Air Force Base, Colorado. "We provide GPS to the world, to about a billion people every day," Wilson said. "It's a pretty amazing capability, and we're going to keep it resilient for the long term." Regarding space weaponry, Wilson and Goldfein said the Air Force is developing lasers and other directed energy systems and other high technology arms as part of military space defense. "We are looking at our levels of investment in places like directed energy, hypersonics, quantum computing, all those game changers, and looking for ways to ensure that we can put the most resources against the problem so we can swarm against the problem with the resources available and get the best possible end state coming out of that," Gen. Goldfein said. In a joint prepared statement for the hearing, Wilson and Goldfein said the Air Force is working toward "air and space superiority"—the ability to achieve unfettered "freedom from attack and freedom to attack." Air Force jets and bombers conducted more than 98,000 precision air strikes in 2017 as part of operations to defeat the Islamic State in Iraq and Syria. In Afghanistan, more than 4,000 airstrikes were carried out against Taliban targets. "In space, the Air Force operates six constellations and 12 satellite systems vital to national security that provide communications, command and control, missile warning, nuclear detonation detection, weather, and GPS for the world," the prepared statement said. To achieve space superiority, the Air Force is boosting spending on research, development, and testing to address space threats from China and Russia. China has developed several types of ground-launched anti-satellites, ground-based electronic jammers and lasers and small maneuvering satellites that can be used to attack orbiting satellites. Russia too is rebuilding anti-satellite missile capabilities from the Soviet era. Neither Wilson nor Goldfein provided details on the specific space weapons being developed, other than lasers. Defense sources say lasers, both on the ground and eventually lasers deployed in space, could be used to disrupt electronics of orbiting satellites by focusing heat on sensitive systems and causing them to malfunction. The Pentagon currently has no anti-satellite (ASAT) missiles. However, in 2008, a modified Navy SM-3 anti-missile interceptor was used to shoot down a falling U.S. satellite, demonstrating some ASAT weapons capability. Most of the U.S. space defense effort to date has been focused on building small replacement satellites that could be launched after ASAT attacks on current satellites. An unrelated hearing of the House Armed Services Committee, also on Wednesday, included testimony from former military and defense officials who warned of shortcomings in current U.S. space defenses. Former Strategic Command commander, retired Air Force Gen. Robert Kehler, told the Armed Services panel the military needs to increase both defenses and offenses against growing space threats. "We should not be preparing to fight and deter an isolated space war, as some headlines would suggest," Kehler said, noting that space conflict should be seamlessly integrated into air, sea, land, and cyber forces. Kehler warned that China and Russia are aggressively building weapons designed to "diminish our ability to project power, diminish our ability to have global awareness, to fracture us from our allies, all the things that we see them doing at the strategic level have a space component to them." For the Chinese, space warfare will be used as part of strategies to prevent U.S. military operations near China's coasts. The Russians are seeking to attack U.S. space assets as part of Moscow's efforts to dominate regional states. Kehler said U.S. nuclear command and control, the systems used to direct nuclear forces—submarines, missiles, and bombers—are vulnerable to space attacks against communications satellites. "We can't be in a position where our forces can't operate without space," he said. "We do not have the wherewithal today to quickly replenish in a significant way what we could lose in terms of a determined adversary attack on space." A first step for the military in space is to develop better awareness of dangers so that attacks can be quickly distinguished from disruptions caused by solar flares or space debris. "We need to get from a time where they're basically maintaining a catalog of what's up there and checking it periodically to see what changes, to real-time situational awareness like we would have in the air if we were in a conflict," the retired general said. Doug Loverro, former deputy assistant defense secretary for space policy, warned that U.S. military forces are ill prepared for space warfare. Current programs in the defense budget represent "more old school" solutions and are not designed for new threats. "We have a satcom jamming threat today," Loverro said, referring to satellite communications. "Today if we went to war in the Pacific, our Pacom commander would be hard-pressed to communicate and yet we have nothing on the books until about 2027 to solve that problem for him. And by that time, the adversary will have gone through two or three generations of his capability. That's what I mean by not being on the path." Loverro said current space threats from China and Russia have been designed to attack U.S. satellites in four altitudes of orbit—from 100 miles to geosynchronous orbit—22,500 miles in space. "They are ready to target every one of them and they will target them in such a way that it will be very difficult for us to defend our capabilities," he said. Todd Harrison, director of the Center for Strategic and International Studies' Aerospace Security Project, testified at the hearing that missile strikes can cause devastating damage to satellites. However, electronic attacks such as jamming or cyber attacks that spoof legitimate commands are also a major worry, he said. Other attacks would come from lasing imagery satellites in order to blind or dazzle the systems. Microwave beam attacks also could disrupt satellite electronics or fry their circuits, he said. For cyber attacks, adversaries "could get into your data streams and manipulate the data," Harrison warned. Rep. Mike Rogers, chairman of the Armed Services subcommittee on strategic forces and advocate of creating a separate Space Corps, said building hardened satellites is urgently needed. 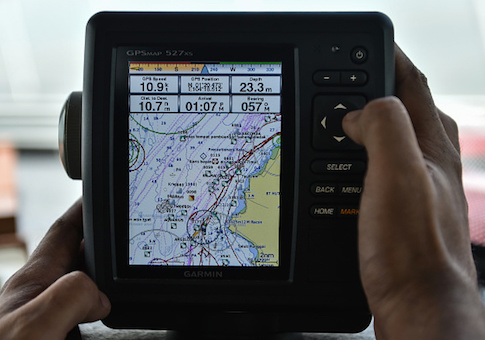 "We know how to go ahead and build jam-resistant GPS," Rogers said. We know how to go ahead and build satellites that can't be blinded by lasers from the ground. We know how to do all of these things. We need to be doing them so that the only option an adversary has is to go ahead and attack us kinetically, and then we need to build architectures where the loss of a single satellite attack kinetically doesn't affect us militarily, but now gives the president the wherewithal to act." Loverro said policy for such space defenses has been in place since 2014. "There's always more policy work to be done, don't get me wrong," Loverro said. "But the fact of the matter is the fundamental policies we need to understand what to do are there. We have to act on those policies."